You may remember the 2017 to-do over efforts to force QSpot out of their Ocean Grove headquarters. The QSpot location is at ground level on the Main Street side of the JSAC building (the former Neptune High School.) They will be staying there. Here is a link to our 9/20/17 Blogfinger article about the QSpot eviction dispute last year: Blogfinger post about QSpot’s eviction dispute. Blogfinger on QSpot legal tangle. 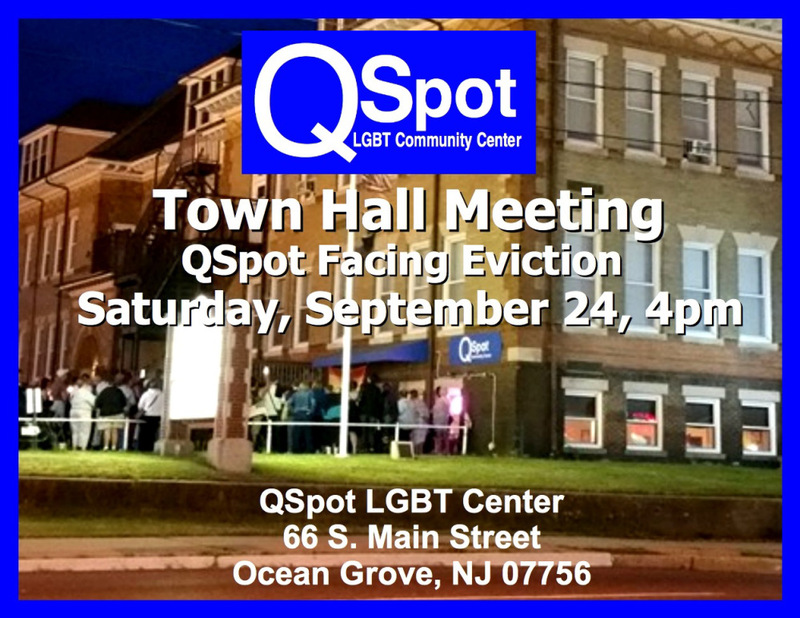 The late Herb Herbst, CEO of the Jersey Shore Arts Center, was going to fight the law suit which tried to accuse him of discrimination as he tried to evict the QSpot. But Herbst died suddenly last June, and then the dispute seemed to go underground—but during the legal wrangling, QSpot stayed put. The announcement thanked those who helped reverse the eviction including the Lowenstein Center for the Public Interest and the law firms of DLA Piper LLP and Lowenstein Sandler LLP. –Paul Goldfinger, Editor @Blogfinger.net—Ocean Grove, NJ.